If you want to do the Everest Base Camp Trek in Nepal right, you do it in 12 days. With a rest day in Namche Bazaar and an acclimatization hike to Chhukung Valley, you are most likely to beat the symptoms of altitude mountain sickness (AMS) and your trek to Everest Base Camp will be comfortable. Cutting it shorter than that and doing it in fewer days is not only bad for your health, it also may take the joy-factor out of your experience. 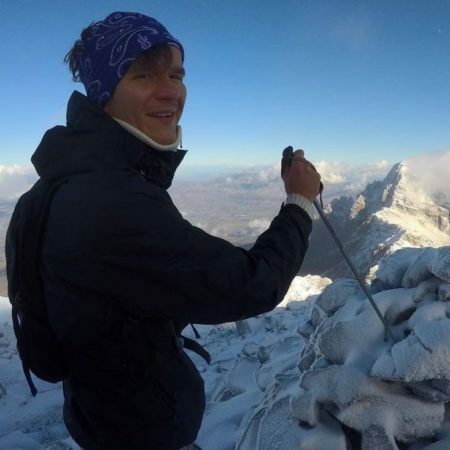 You have dreamed about doing the Everest Base Camp Trek for years so you might as well enjoy it! Let us take you through our favorite 12-day itinerary. It is higher than everything else and it ranks at the top of many bucket lists. Mount Everest, the Chomolungma, the Mother Goddess of Earth. Thousands of books have been written about it and hundreds of films have been shot. For hundreds of years, man has been trying to understand and control the grandeur of Mount Everest. In Nepal, they can’t get around the Himalayas. It determines the weather, topography, infrastructure, religion, and trade. Trekking is one of the major reasons to come to the Everest Region, which is also known as the Khumbu Region. 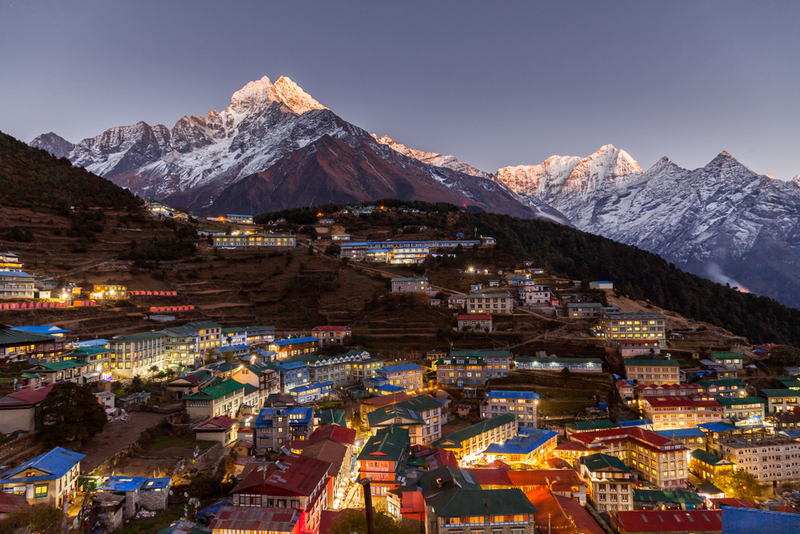 Although some prefer the more quaint Annapurna Region, we can definitely understand that the trek to Everest Base Camp is on your bucket list. Come on, it’s Everest! You must do it. Because the Everest Base Camp Trek is so popular with adrenaline hunters, some people sometimes misunderstand and underestimate the risks of altitude sickness and general safety in the mountains. Seeing Mount Everest and trekking to Everest Base Camp is all that matters. They want to do it in 10, sometimes even 9 days. That is rushing it. Your family does not want a call from Nepal hearing that you had to be taken off the mountain with a helicopter. 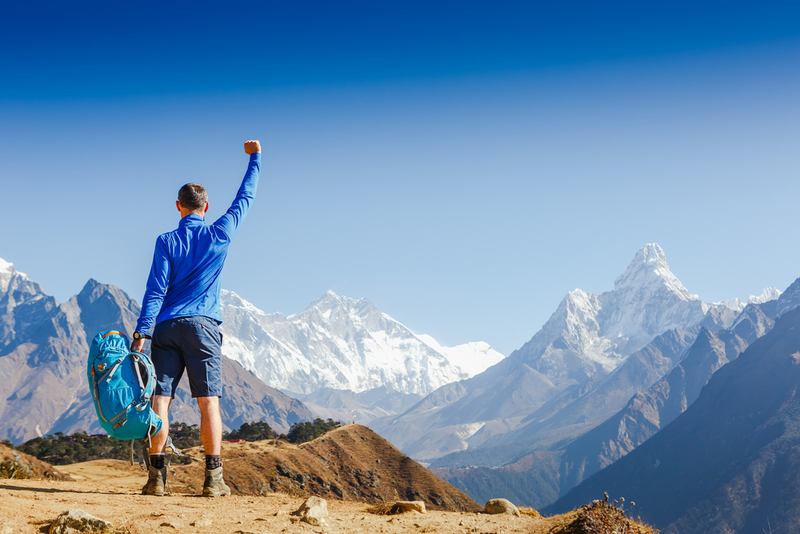 You can be as fit as a marathon runner or have all your essentials packed, altitude sickness can happen to anyone. Be clever, and choose an itinerary of at least 12 days. We have put an itinerary together that is based on the best-selling 12-day Everest Base Camp Trek as offered by our partner Nepal Eco Adventure. Get your hiking boots ready and join us on this epic adventure to the famous EBC. Namaste! 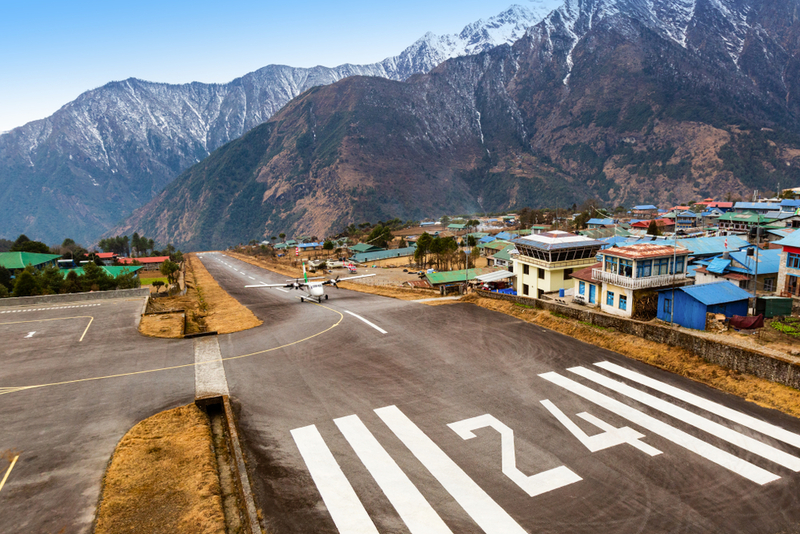 You will board an exciting 30-minute flight to Lukla early in the morning and enjoy the Himalayas in full glance as you arrive at Lukla airport. There, you will be introduced to your porter in case you have booked one. After enjoying a hearty breakfast, you commence trekking. The hike to Phakding is a fairly easy 3 hour one through the Dudhkosi valley. You will head north from the airstrip to Chheplung (2700m) and cross the ThadoKoshi River on a local-style suspension bridge. Just past the bridge, you can see the peaks Kusum and Kanggru (6367m), which are some of the most difficult peaks to climb. Beyond the ThadoKoshi, the trail climbs towards the Ghat (2590m) and crosses a ridge marked with painted Mani stones. You will continue your ascent until you reach the beautiful village of Phakding where you will stay for the night. You will start this second day through the Valley of Dudhkosi River. You will cross the Dudhkosi River 5 times on exciting suspension bridges laden with prayer flags on the way to Namche. After the last bridge, you will continue your ascent, gradually leading to Jorsale. It is a 2h30 climb up to Namche with two viewpoints on the way. You will enjoy a mesmerizing view of Mt Everest when it is a clear day. At Jorsale, you will enter the Sagarmatha National park where you will need to verify your permits. After 5/6 hours of hard hiking, you will finally reach the main trading center of the region: the famous Namche Bazaar. Acclimatization is very important before proceeding higher to avoid altitude sickness. We will be taken for a day’s hike through the villages of Khunde and Khumjung and come back to Namche through the Everest view hotel Khumjung. We can see the head of a Yeti in the monastery of the area. We can also visit the bakery at the world’s highest altitude. We get to enjoy the panoramic views of Everest, Lhotse, Ama Dablam and many other mountains on a fair day. Even the view from Everest View hotel is very impressive. We start with a steep one-hour climb to the Syangboche airstrip (3790m), from where we will slowly ascend towards Khunde passing numerous chorten (stone Buddhist monuments). From Khunde, we follow the trail eastwards to Khumjung, the largest village in Khumbu, at the foot of the sacred peak Khumbila. After enjoying lunch at Khumjung, we follow a gradual climb to Everest View Hotel where we will enjoy the splendid mountain views. Then we descend towards Namche (3540m). Our route for today to Tengboche weaves in and out of side valleys, making small ups and downs, to the picturesque tea shops of Kenjoma, and joins the trail from Khumjung just before a collection of Mani stones. The views of Everest and Ama Dablam are excellent from this part of the trek. We pass the small settlement of Sanasa from where the trail drops towards Phunkithanga (3250m). From here the trail climbs steeply through pine forests and around Mani stones as it follows the side of a hill to the saddle on which the monastery of Tengboche sits at 3870m. The view from here is rightly deemed to be one of the world’s most magnificent sceneries. Kwangde (6187m), Tawachee (6542m), Everest, Nuptse, Lhotse (8501m), Amadablam, Kantega and Thamserku provide an inspiring panorama as the Himalayan giants. We will spend the night in Tengboche. You will start your trek with a descent through a beautiful forest, then we cross the Imja Khola and trek through the idyllic village of Pangboche. The route continues through summer pastures to Dingboche. You will spend the night at Dingboche. It is a very relaxing village with lots of mountain views. We will start around 8:30 am for a nice trek up to Chhukung. 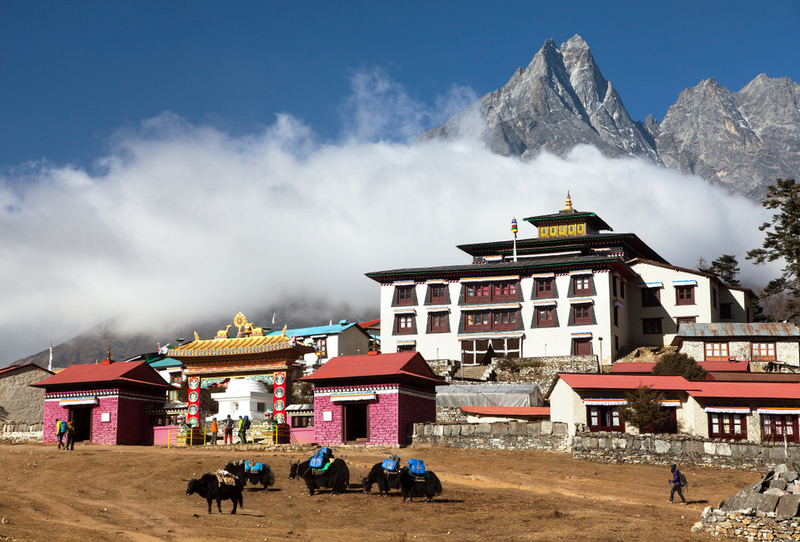 You will get a beautiful view of most of the mountains, especially Ama Dablam. The view from Chhukung and further up the valley on the moraines towards Island Peak is tremendous. To the south-west, the eastern face of Amadablam provides an incredible view of the picturesque peak. You will go back down to Dingboche for the night. On our descent, we will probably face strong winds. We start the day with a climb to the chorten trail. This is a gentle climb that will last about 1.5 hours. Then we get to Thugla at 4600m with a tea house where we will have lunch before climbing the steep part of today’s trek for another 1.5 hours. We start to get close to high mountains like Mt. Pumori and Mt. Nuptse after a while as we proceed towards Lobuche where only basic accommodation and food is provided. Then we trek along a broad valley floor to Thugla, leaving behind the Trekkers Aid Post at Pheriche at 4240 m. A western volunteer doctor, supported by The Himalayan Rescue Association is stationed here and offers treatment and consultation to trekkers. When we come out of the valley, we descend to the yak pastures at Lobuche. Overnight at Lodge. The day’s trip takes about 5 and a half hour’s walk. This morning, we will take a 2 hours hike up to Gorakshep. The first part is nice and easy but one hour later the trail can get really hard. This, fortunately, is compensated by great views of big walls formed by Everest, Nuptse, and many other mountains. Once we climb about 150m the trail gets better again. Shortly after we will get to the moraine. Finally, we get to 5160m, the world’s highest settlement at Gorakshep. Once we have lunch, we begin our hike to Everest base camp. We will be walking on a side ridge of the Khumbu glacier. After walking on the ridge for about one and a half hours, we cross the Glacier into the Everest base camp area. Today we reach Everest base camp at an altitude of 5360m. We will be able to meet and talk to other mountain climbers at the base camp. We can get a good view of Khumbu glacier and Khumbu Icefall. From there we can also see the big crevasses the climbers use. After appreciating our own efforts and cherishing our achievements, we start our way back to Gorakshep. Today we hit Kalapathar and therefore we will leave in the early morning. We will start our 1.5 hours hike early in the morning to enjoy the sunrise over Mount Everest and other mountains. We spend some time enjoying the sunrise on the splendid Himalayan ranges, relishing in a unique view and experience and head back to Gorakshep breakfast before we continue to Dzolgla. From Gorakshep -Lobuche it takes about 2 hours and another 2 hours hike will take us to Dzongla from Lobuche. Dzongla is the only place where we can spend the night before we cross the Chola pass. From Debuche, a 1h30 climb takes you to Tengboche, from where you will descend to Phunkithanga at 3200m. Then you will have a final climb towards Namche Bazaar for the final party night, which is also the last chance to have close-up views of the mountains. Following the same way back to Namche is an easy walk. Once you get to Namche you can appreciate a hot shower and wifi, as well as pastries and beers in bakeries and bars. The trail from Namche to Lukla is mostly downhill until you reach the flat part. You will exit the Sagarmatha National park and reach Lukla after a final effort of climbing stairs. You will have the opportunity to have dinner with your guide and porter(s) and celebrate the end of your journey. You will fly to Kathmandu early in the morning, enjoying really nice views of most of the Himalayan range. Do not forget to choose the seat on the right-hand side of the aircraft. You have nailed the Everest Base Camp Trek. Have you not had enough yet? Perhaps it is now time to discover the Annapurna Region! *This itinerary is subject to change and may vary from one tour operator to another. If you have any questions about the Everest Base Camp Trek, why don’t you get in touch with our trekking experts? They are keen to help you out!